Not everyone is blessed with the ability to sleep like a baby every night. If you’re troubled with insomnia from time to time, you’re definitely not alone. Luckily enough, there are some tricks that can help you fall asleep quickly. An appropriate amount of exercise in the evening can accelerate the amount of time it takes to fall asleep. AVOID vigorous exercises such as running, boxing and heavy weight-lifting. These exercises dramatically increase the heart rate and adrenaline levels, making you too excited to even fall asleep. Recommended exercises that can improve your sleep quality include yoga, pilates and walking. RELATED ARTICLE: Can we work out before sleep? It’s also important to let your body wind down after you exercise so that you’re ready for bed. So a warm shower might do the trick! If you take a warm shower before bed, you’ll be able to relax your muscles and wash away the tension built up throughout the day. According to a showering survey we rolled out in 2019, 29.2% of Australians shower before going to bed. The rapid drop in the body temperature after getting out of the shower serves as natural sleep indicator which can help you fall asleep more quickly. Moreover, the hot steam from the shower also opens up your pores, making it a healthy deep-cleansing ritual for the skin. Having clean and unclogged skin is also linked to better sleep quality. While meditation is no longer a novel concept, many people still don’t realise how powerful it can be. Meditation encourages people to concentrate on the present, such as the scents in the room or the sounds outside the window. It’s an effective exercise to train the brain, enhance one’s attention span and relieve symptoms of anxiety. Meditation can be done with or without music and there are some great phone applications that come with audio instructions. The great thing about basic meditation is that each exercise would only take you a few minutes to finish. 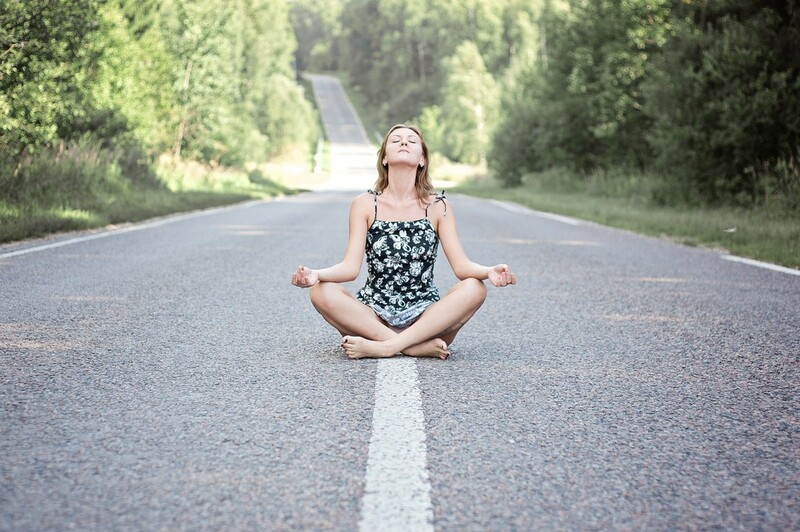 Unlike exercises such as running or swimming, meditation is an exercise for the mind. A popular breathing technique you may want to try is called the “4-7-8” method. This method involves breathing in through your nose four times, holding your breath for seven seconds and exhaling through your mouth eight times. All the inhales and exhales in this technique are shallow, forcing your heart rate to slow down and helps the body wind down. This cycle can be repeated several times to achieve the best results. It can also be used during periods of high stress, such as before a presentation or speech. For those who really care about their weight and fitness, a light and healthy dinner is a must. You also may want to familiarise yourself with the “three-hour rule”, which specifies not to go to bed within 3 hours of eating a large meal. This is to give your body a chance to digest its food. Going to bed on a full stomach may cause you to toss and turn throughout the night while your metabolism is working hard to digest what you’ve eaten. You’re also more likely to grind your teeth and wake up to go to the toilet if you’ve had a heavy dinner. A healthy dinner recipe includes fruit, low-fat meat and dairy and vegetables. So a warm shower, light exercise, meditation and healthy dinner can all help you fall asleep faster and improve your sleep quality. Oh, don’t forget sleeping on a super comfortable mattress can work wonders for your sleep, too!